– Emma Coburn speaking out against WADA on their reinstatement of the Russian Anti-Doping Agency. D1 teams don't even compete at regional? And the worst use of social media award goes to.... Patrick Mahomes girlfriend - Brittany Matthews!! Sub-elite guys/gals: Do you have a training plan? A coach? How often do you "fight" with your girlfriend/wife/significant other? 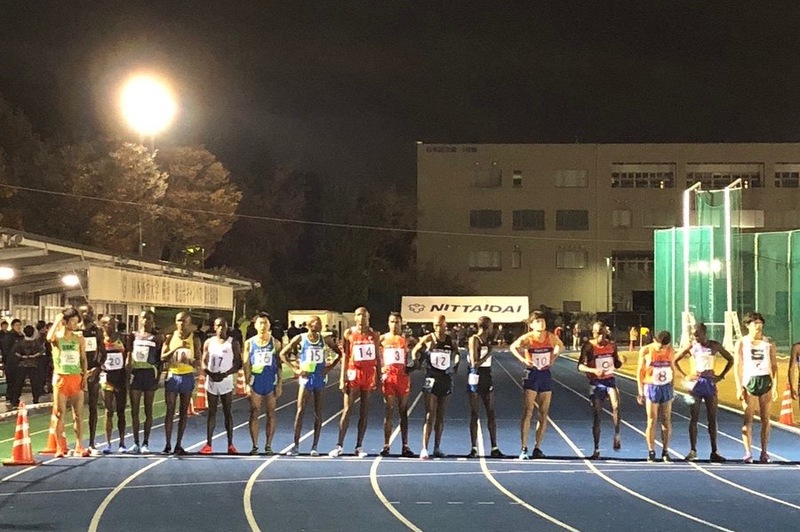 LRC Kellyn Taylor PRs, Ruth Chepngetich Makes History, Edward Cheserek is Baack, An Impressive Run in Japan, and Will Someone Die in Tokyo 2020? We span the globe and look back at a week where a 2:18 was run in Istanbul. 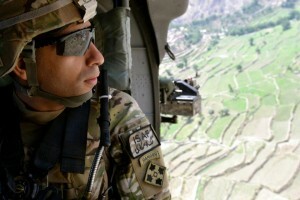 Is He Back? 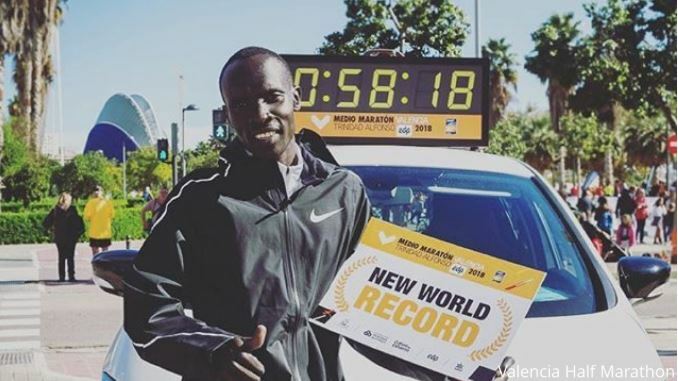 Edward Cheserek Returns To Action With $5,000 Road Mile Win Over Josh Kerr And Others In 4:02 Why Brooks puts on a road mile in the middle of the Vegas strip but doesn’t promote is beyond us. 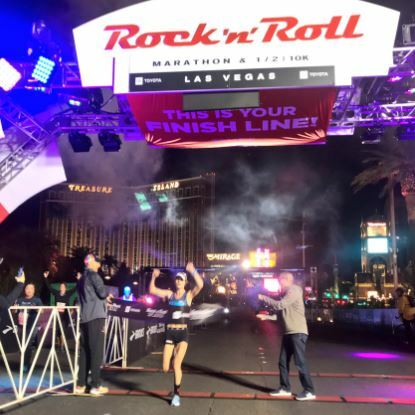 After Having A Race Cancelled Due To Wildfires, Kellyn Taylor Flies To Las Vegas Sunday Morning And Wins Half That Night In 70:16 PR The Atlanta Track Club’s Wilkerson Given won the men’s race in 62:50. In case you forgot, Taylor is the #2 performer in the US but she didn’t do a fall marathon. Uganda’s Jacob Kiplimo And Ethiopia’s Senberi Teferi Were Victorious At The Cross Internacional De Atapuerca XC Race In Spain Kiplimo won over a field that included world 5,000 champ Muktar Edris (7th place). Former NCAA XC Champ Kate Avery And Mahamed Mahamed Win At Milton Keynes Cross Challenge In The UK Avery continues her comeback after dealing with stress fractures the last couple years. Kenya’s Magdalene Masai Breaks CR At Hefei Marathon To Win In 2:28:20 In Her Debut Kenya’s Leonard Langat won the men’s race in 2:10:48. Mohamed Reda El Aaraby (2:10:41) And Medina Deme Armino (2:29:31) Win Beirut Marathon Former Boston Marathon champ Wesley Korir was only 7th in 2:14:18. Caster Semenya Cleans House At South African Sports Awards She won three: the Sports Star of the Year, Sportswoman of the Year and People’s Choice awards. Finalists Announced For 2018 IAAF Male Rising Star Award The five man list includes Jakob Ingebrigsten and Armand Duplantis. After Quitting The Sport For Several Years, Hitomi Niiya Makes Great Comeback To Break Stage Course Record At The East Japan Women’s Ekiden Niiya’s claim to fame was leading the 2013 World Champs 10,000 the entire way before getting blown away on the final lap and getting 5th. She retired from the sport afterwards, but now is back trying to make Tokyo 2020. 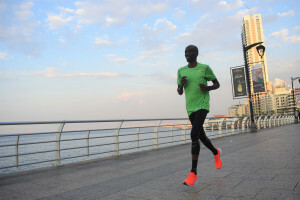 LRC Q&A: Half Marathon WR Holder Abraham Kiptum Reveals His Workouts Before Running 58:18 The new half marathon record holder shares his workouts exclusively with the LetsRun.com nation. Laura Muir Says Athletes Feel “Let Down” By WADA Decision To Reinstate Russia Muir also talks about XC one day coming back to the Olympics and working as a voluntary vet. Dina Asher -Smith Named The Sunday Times’ Sportswoman Of The Year Asher-Smith became the first British woman to win triple gold at the European Champs. Kelly Holmes Hails Laura Muir As “Future Olympic Champion” Holmes presented Muir her award as she was named Scottish athlete of the year. Martin Hehir Breaks Course Record To Win Pittsburgh 10 Miler In 46:48 Over Stephen Sambu (46:55) Kenya’s Monicah Ngige dominated the women’s race in 52:06. 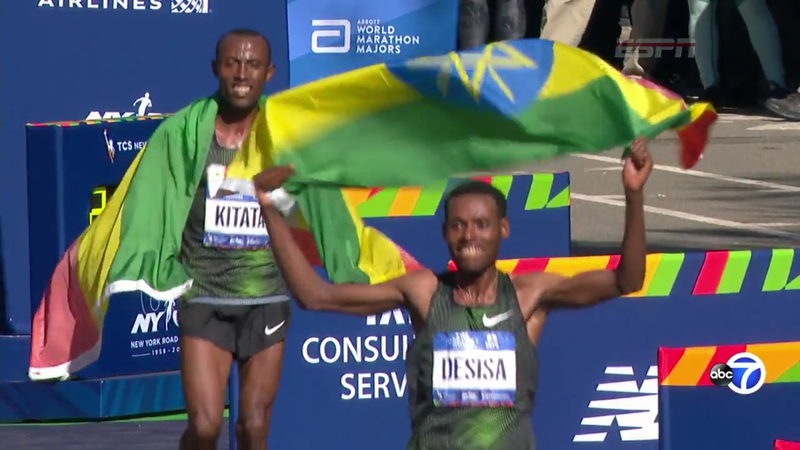 IAAF Weekend Road Recap: Hirut Tibedu (2:25:10) And Michael Njenga Kunyuga (2:10:37) Win Hangzhou Marathon Elsewhere, Ethiopia’s Abrha Milaw (2:07:26) and Nurit Shimels (2:31:54) won the Des Alpes Maritimes Marathon and Robert Chemonges (2:09:05) and Abeba Tekulu Gebremeskel (2:30:13) won the Porto Marathon in Portugal. 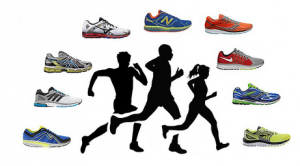 LRC $200,018 LetsRun.com Running Warehouse NCAA D1 Cross Country Prediction Contest Tell us who will win NCAAs and win some cool RunningWarehouse prizes. LRC Men’s Team Preview: Can Anyone Dethrone Northern Arizona As The Lumberjacks Chase A Three-Peat? In the last 36 years, only one men’s program has three-peated at NCAAs, Arkansas. #1 NAU is undefeated since 2015 and hoping to join them. Can they do it or will they suffer an epic collapse like the great Henry Rono did the last time NCAAs were held in Madison in 1978 or like the 2004 Wisco team or Jenny Simpson in 2009? 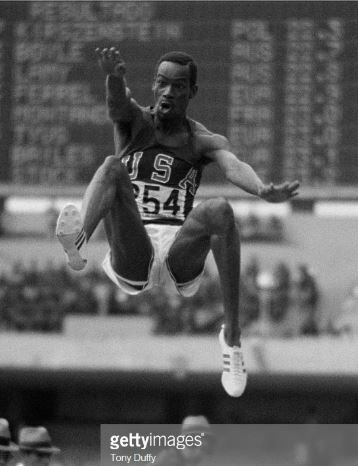 *MB: Will NAU 3-peat or will they suffer an epic collapse like Henry Rono in 1978? Or The Wisco Dream Team in 04? Or Simpson 09? RUSADA Worried They Won’t Meet The WADA Deadline To Allow Access To The Moscow Laboratory They shouldn’t be worried though. We’re sure WADA will just move the goalposts for them if they miss it. African Union Propose Age Limit For WADA President Which Would Prevent Linda Helleland From Standing For Election They are calling for WADA presidential candidates to be at least 45-years-old in a move interpreted as an attempt to block 41-year-old Helleland. 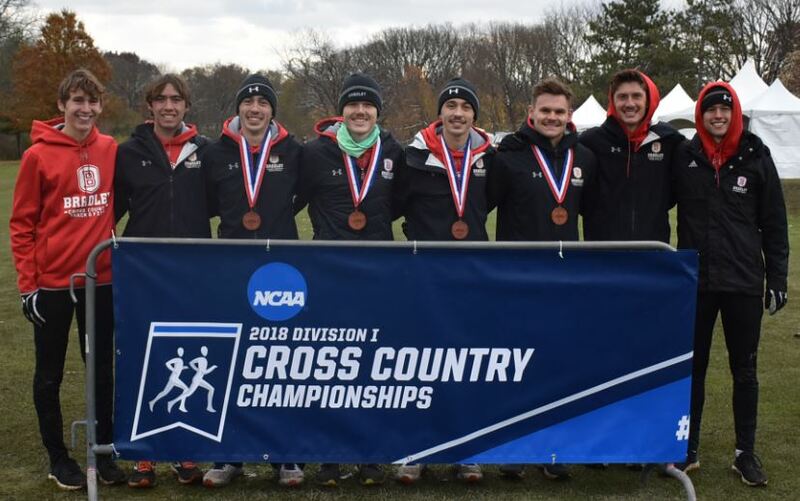 MB: Official 2018 NCAA D1 XC Regional Discussion Thread – Who Is Going To The Big Dance? Follow this thread all day long on Friday as we should have the field within minutes of the final region going final. LRC Here Is Your Projected 2018 NCAA Men‘s Cross-Country Field The Bradley Braves are dancing for the first time ever. The field will also include Purdue and Wyoming, both of whom last made NCAAs in 1986, but not pre-season #6 Alabama. 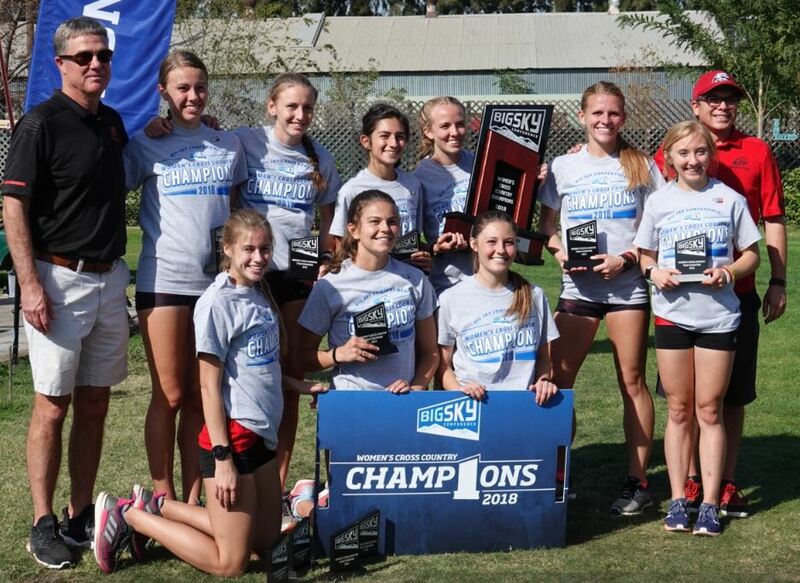 LRC Here Is Your Projected 2018 NCAA Women’s Cross-Country Field The field will include first-time NCAA participants Oregon State and Southern Utah but not pre-season #10 Utah State or #11 Providence. MB: Loudoun Valley Boys Score 16 Today at Virginia State Meet. Is it Tinman Training? After Stepping Away From Politics, Former Boston Champ Wesley Korir Relishing Marathon Return In Beirut With his wife recently giving birth to their fourth child, Korir is out of the political game and is focusing on running again, hoping to go sub-2:10 on Sunday (a time he hasn’t hit since 2014). WTW Were The American Men Any Good In New York? Keitany Vs. Radcliffe Vs. Ndereba For GOAT In our weekly recap, we take another look at the amazing Mary Keitany in New York and where that puts her in the all-time ranks along with Paula Radcliffe and Catherine Ndereba. 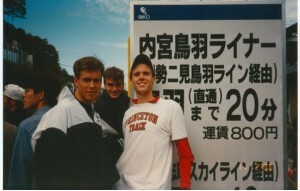 Plus 4 American men were in the top 10 in New York. How good was that? 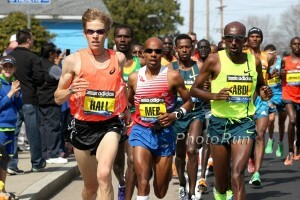 And was this year’s NYC Marathon actually Geoffrey Kamworor‘s best marathon even though it was his worst finish? 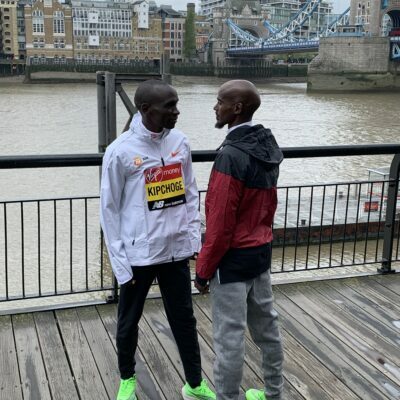 Eliud Kipchoge And Gladys Cherono Named AIMS Best Marathoners Of 2018 Kipchoge went undefeated again in 2018 with wins in London and obviously his 2:01:39 WR. 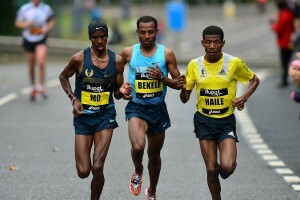 Cherono won Berlin (2:18:11) and was 4th in London. Christian Coleman And Noah Lyles Among The Nominees For IAAF Athletes Of The Year Here the IAAF takes a closer look at the 2018 for the top sprinters and hurdlers. IAAF World Athlete Of The Year Nominees – Jumps Mondo Duplantis improved his own U20 record, winning Euro Champs with 6.05m while Russia’s Mariya Lasiskene won 25 of 26 HJ competitions and jumped over 2.00m 16 times. A Closer Look At The Distance Nominees For The IAAF World Athlete Of The Year Includes two WR setters in Eliud Kipchoge and Beatrice Chepkoech. IAAF World Athlete Of The Year Nominees – Throws And Multi-Events Decathlon WR holder Kevin Mayer tops the list. Janieve Russell Named Jamaican Female Athlete Of The Year Russell won the 400H at the Commonwealth Games, thee World Cup and Continental Cup. Finalists Announced For 2018 IAAF Female Rising Star Award List includes Sydney McLaughlin and her 52.75 world U20 record and 9:01 steepler Celliphine Chespol. IAAF Revises Qualifying System For 2019 Doha World Champs – Will Use Traditional System Rather Than The New World Rankings Seb Coe said they will use the world ranking system for future championships, but didn’t want athletes and coaches to be confused since this is the first year it’s being introduced. Tickets For Doha 2019 Now On Sale You can get finish line seating for $80 and cheap tickets for $16 …you just have to travel to Qatar. National Kits From Haile Gebrselassie And Carolina Kluft Donate Donated To IAAF Heritage Collection A private collector donated the vest and competition number Geb wore when winning his fourth World Champs 10,000 gold in 1999. NY Times: Runners At D3 Rowan University Told They Can’t Practice At The Same Time As The Football Team The track and the football field are in the same stadium and the issue seems to have started with the football coach saying the women’s team running in sports bras was distracting for his players. Carrie Tollefson Does Podcast Q&A With Shannon Rowbury They talk about Rowbury’s life as a new mom and her comeback progress. 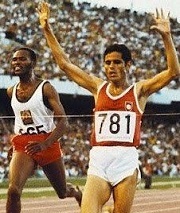 Good Read: Extensive Q&A With 1968 Olympic 5,000m Champion Mohammed Gammoudi Even if you’d get an “F” in track history, if you ran in high school then you probably remember Gammoudi from watching the Steve Prefontaine movies (Gammoudi was 2nd at the 1972 Munich Games). Mary Keitany Is Debating Whether She Wants To Run 2019 Worlds In Doha Or Defend Here NYC Title Next Year Worlds are in October, so she will have to choose between the two. Mary Keitany Talks About Her Pacing Strategy In NYC She said “the only problem” was the 15:19 she ran from 25k to 30k was too fast. 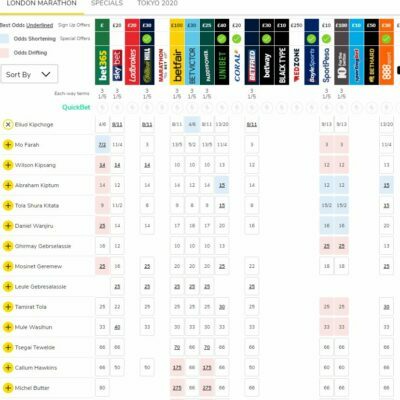 January 25: Olympic Silver Medalist Feyisa Lilesa Targeting A Winning Return At The Dubai Marathon After two years in in exile, Lilesa is back training in Ethiopia following the election of a new reformist government. 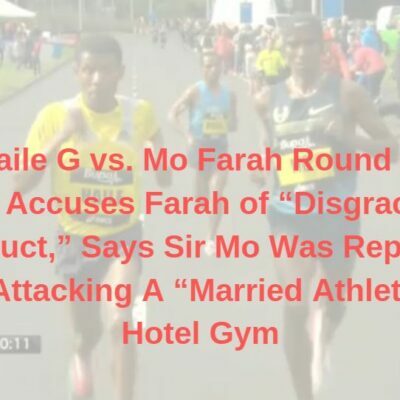 *Reuters: Two Years After Protesting Ethiopian Government At The Olympics, Feyisa Lilesa Returns Home Lilesa has spent the last two years in exile after he protested against government violence at the Rio Games. Japanese Health Groups Call For The Tokyo Olympic Marathon To Start At 5:30AM Instead Of 7AM To “Avoid Deaths” People are concerned about the intense Tokyo heat with temperatures likely to be in the low to high 80s during the race. European XC Championships Will Return To Ireland In 2020 They will be held in Fingal. They were previously in Dublin in 2009. 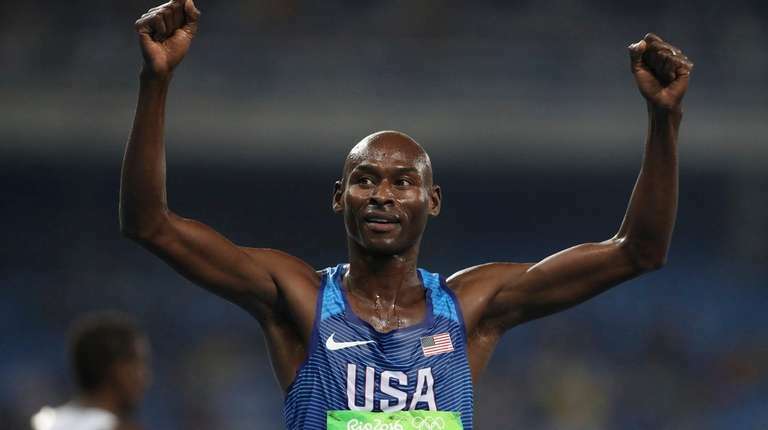 Bernard Lagat Says His First Marathon Won’t Be His Last Lagat says the hills in NYC killed him as he’s used to the track and flat road races, but he wants to run faster his next time out. MB: NY Times disrespected Mary Keitany today with its marathon headline. Was it also racist?